Now that the temperature is heating up and my engine seems to be running hotter, I’m reading all kinds of stuff on the internet about different coolants. I’ve also seen claims about additives you can just pour in and the engine will run cooler. Do any of these work? Jeff Smith: Over the years, I’ve spent more time than I should have researching and testing engine coolants, additives, and their performance characteristics. And as you have discovered, there is plenty of misinformation and outrageous claims of performance. But if we apply a little science and do some digging, you might discover that a traditional, simplistic approach is often the best – leaving the “miracle” fluids to the dream chasers. Let’s start with an irrefutable fact. Plain old fresh water is an amazing liquid. It has the ability to absorb more heat per unit of measure than any other coolant and matches that with the capacity to transfer that heat to the radiator more efficiently than any other coolant. So straight away, it would appear that the best coolant you can run is straight water. But obviously we will need an additive to control corrosion as well as something to protect against freezing during the cold months. Here in Southern California, if it drops below 50 degrees F in the depth of winter, it’s headline news. For those living in these milder climates, you could get away with straight water with only an anti-corrosion additive. There are a ton of these additives out there and many do an excellent job. Our experience over the last 20 years or so of playing with different anti-corrosion products led us to a company called Applied Chemical Specialties (APS). They offer a couple of products that will work. The company has recently introduced a high performance additive called Hyper-Kuhl that performs the anti-corrosion job but also improves cooling system efficiency. For years, we’ve used their No-Rosion additive, and it has performed exceptionally well. It is designed to be used for about a year and then should be fortified. 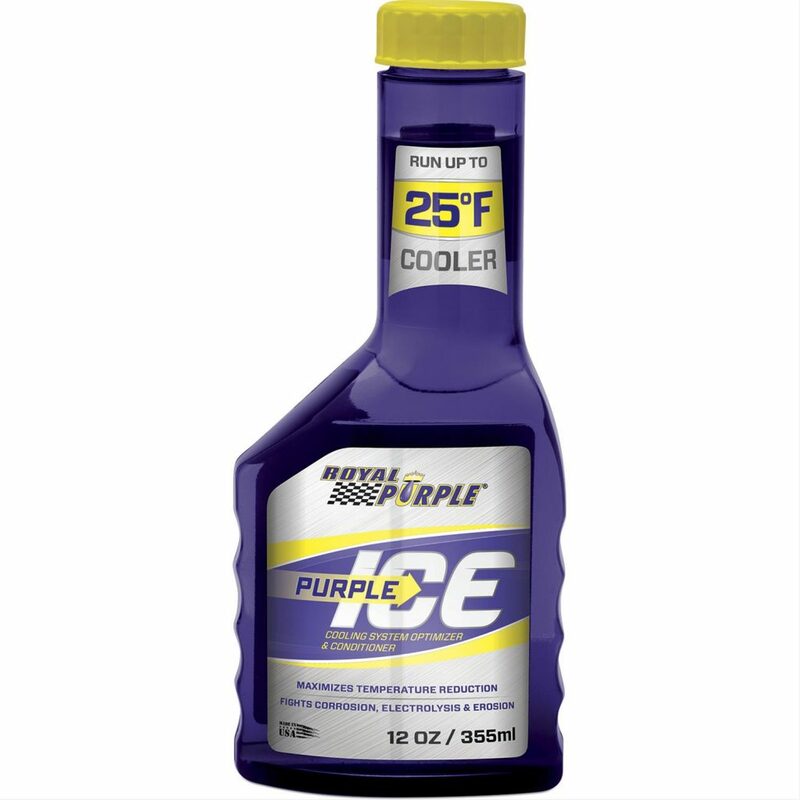 Other similar products that I have also used in this same category are Royal Purple’s Purple Ice, and Driven’s Coolant System Protector (CSP). Over the years, we have discussed the issue of reducing corrosion with APS owner Jay Ross, and I’ve learned quite a bit about what happens in the cooling system. A major step you can take to improve cooling system performance is to begin with the right water. As you can imagine, not all water is the same. We had our local Southern California tap water tested and were shocked at the levels of impurities. We won’t get into the details, but the water had shockingly high levels of something called total dissolved solids along with metals like iron that only make the anti-corrosion additive’s job more difficult. Clearly, using water that removes all these contaminants would be a good thing. But be careful. You’ve probably heard, as we have, that distilled water is the best water to use. But Ross warns that distilled water is not as ideal as it sounds. Yes, the distillation process does remove nearly 100 percent of impurities, but the process of stripping away these materials also causes the water to become chemically imbalanced. While we didn’t learn much in high school chemistry, one fact we did retain was that any chemical solution will attempt to balance itself. So when distilled water is poured into a cooling system, it immediately begins the process of stripping electrons from the soft metals in the system. These include zinc, magnesium, and aluminum. So you can see that starting with distilled water mixed with any kind of anti-corrosion additive instantly puts a much greater load on the anti-corrosive additives. There are a couple of different versions of purified water that are far better alternatives. So-called soft water is actually a process that mixes sodium chloride (NaCl) with the water to remove these same impurities. This process uses the sodium ion to create a balanced solution. Because the water is chemically balanced, it will not strip electrons from the soft metals in the cooling system, which is exactly what we want. While some enthusiasts balk at this because they claim that it adds salt to the water, if you’ve ever tasted soft water, you know that’s not the case. Soft water is an excellent choice. If soft water is not easily attainable, look for drinking water that has been purified by reverse osmosis. We found a company called Glacier Water that places water dispensers outside grocery stores and sells this water for thirty cents a gallon. We had this water tested and discovered it removes virtually all of the dissolved metal impurities. This is what we use exclusively in all of our cooling systems. Short of that, any household tap water purification system is certainly better than straight tap water. In racing situations, many circle tracks and drag strips have banned the use of ethylene glycol and other anti-freeze coolants for use on the track because these coolants make cleanup very difficult. This is another situation where filtered water with an anti-corrosion additive like the above-mentioned Hyper-Kuhl would be an excellent choice. The Hyper-Kuhl offers both anti-corrosion along with heat-transfer enhancing characteristics. This falls under the category of chemicals called surfactants. A surfactant is a chemical that reduces the surface tension of water. If you’ve ever filled a water glass right to the very brim, you’ll notice that the water will be slightly higher than the rim of the glass. This is due to water’s very high surface tension. Water’s high surface tension creates those large bubbles you see in the bottom of a deep pan of water when it boils. If you watch the boiling process closely, you’ll notice these bubbles remain on the bottom of the pan for a moment before breaking loose and rising to the surface of the water. Those large bubbles are created by water’s high surface tension. Now imagine that large bubbles probably occur also on the water jacket side of the combustion chamber when your engine is making big power. When those large bubbles are created, they reduce the heat transfer characteristics of the water and form hot spots. These hot spots can cause detonation in the combustion chamber. This issue created a whole line of products that reduce the water’s surface tension and allow better heat transfer. The idea is that if the heat is transferred into the coolant at the head, it will also be more efficiently transferred to the radiator cooling tubes and result in a lower overall operating temperature. The theory is there, but unless you are a circle track or road racer, run 140-plus miles-per-hour at the Silver State Open Road Race, or you are a Bonneville racer, these additives may have a minor impact on coolant temperatures. But at least now you know how they work. It’s not just magic. Among the products that work as surfactants are Red Line’s Water Wetter, Applied’s Hyper-Kuhl, Purple Ice from Royal Purple, and Lucas Super Coolant to name a few. If you are looking for an anti-corrosion additive that really works with just straight water, and also could potentially reduce the coolant temperature slightly then either Applied Chemical Specialties’ Hyper-Kuhl or Royal Purple’s Purple Ice are great products. So now that we know what water to start with, there’s plenty of misinformation about anti-freeze as a coolant. Certainly the old standby ethylene glycol has worked for decades. When mixed 50/50 with soft or filtered water, it is an excellent way to add the anti-corrosion additives and prevent freezing in the winter. But a common enthusiast push of “If some is good, more is better!” doesn’t work here. Any liquid used as a coolant relies on a physical factor called its specific heat capacity. This is defined as the liquid’s capacity to pull heat out of the engine – it is specifically defined as the number of BTU’s per pound of liquid. It should come as no shock that straight water is an excellent liquid with regard to pulling heat out of the engine. But when we mix anti-freeze (ethylene glycol) and water together, the coolant’s capacity for carrying heat out of the engine is reduced. We’ve created a chart (pulled from the engineeringtoolbox.com website) that reveals that at a 50/50 mixture of water and anti-freeze, the specific heat of that mixture is only 86 percent as efficient as straight water. 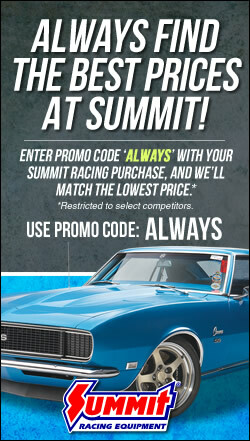 I’ve also read claims of racers using 100 percent anti-freeze because of its 387 degree F. boiling point. The problem with this approach is that the specific heat of straight anti-freeze is 0.66 as shown in the accompanying chart. According to the above referenced site, the cooling system has lost 20 percent of its capacity. This means you have to increase fluid flow by at least this much and perhaps more. So the key thing to remember here is – there’s no free lunch. And just for the record, the freezing point of straight anti-freeze is roughly 10 degrees F – that’s above zero while a 50/50 mix is closer to -35 degrees F.
I apologize that this answer went longer than probably you desired (a gold star to those of you who waded through this entire piece!). It’s a complex subject that I’ve tried to make a little less confusing. Hope this helps. A very good article. Don’t worry about too much info. There is no such thing. You explained in a good and easy to understand way about distilled water. I always thought it was not good to use but I didn’t have a good explanation of why until now. Maybe try looking at Evans coolant. Boiling point at 375* F.Propylene Glycol won’t harm animals, excellent adhesion to the walls of the block & heads, no rust problems, & lasts a long time. Worth checking out. how much surfactant additive per gallon of water is required to be effective? Royal Purple Ice is recommended every 30,000 miles or yearly, whichever comes first. What happens to the old Ice additive that remains in the rad over the years if I keep adding a new can yearly? Will the coolant get diluted? I live in Canada and the winters can be brutal so I want th most protection.Thanks! The Purple Ice uses a formula that is self-sacrificing. So the active ingredients tend to dissolve or become used up during time. If the coolant does not look corroded then just adding another bottle will bring it back to life. You can also try testing the acidity by using a very sensitive digital voltmeter – place the positive lead in the coolant and the negative lead to a metal radiator ground. As long as it reads less than 300 millivolts (lower is better) they its okay. If it reads higher – drain the coolant and replace it with good drinking water – not distilled. Distilled water has had its electrons stripped in the distillation process and is not good to use. Soft water is okay and quality drinking water is okay. air cooled vw beetle and they are fast!! !